CPAPs (Continuous Positive Airway Pressure) are machines that push air through your airway to keep it open and prevent snoring. A Snore Guard is a mandibular advancement device or a MAD that is fitted inside your mouth. It pushes your lower jaw in a slightly advanced position and keeps your air passage open. 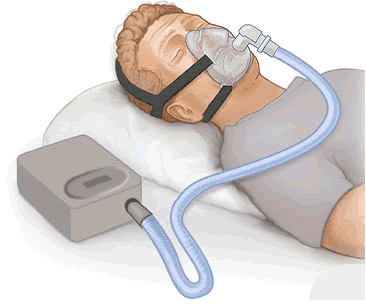 CPAP machines have several parts including a hose, mask, and filter, and require battery or AC power to operate. Snore Guards are made of one piece of malleable plastic that consists of an upper and lower jaw. People suffering from severe sleep apnea frequently choose CPAPs. However, a MAD, like the Snore Guard, has a good record of success in preventing people from snoring as well. The CPAP is easy to use and arrives disassembled. There is a filter, a mask, tubing, and the actual air pump machine. You must put the mask over your head, insert the nasal plugs into your nostrils and then turn the machine on. To clean, you disassemble it and wash with it warm soapy water. You might also have to purchase a CPAP humidifier, which prevents dry air from going down your airway and causing discomfort. Similar to the Snore Guard, you need a doctor’s prescription to purchase a CPAP. If you do not go to your own primary care physician for a sleep assessment, the CPAP companies will provide you a questionnaire to fill out and their doctors will make an evaluation. Typically, the process to get approved takes about one week to ten days. Once you get a prescription, you can order the device and they will ship it immediately. In order to clean it, first you have to disconnect all of the hoses, the mask, and take out the filter from the machine. Then you clean each segment with soapy warm water. Consider wiping down the machine with a mildly damp cloth. Most users clean their CPAPs every other day. The CPAP almost always eliminates snoring. If you wear the mask properly and have it fitted according to your specific measurements, you can forget about snoring. 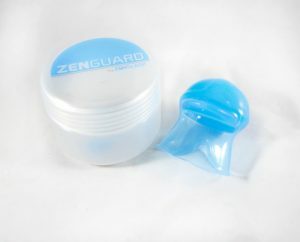 I liked the fact that the Snore Guard is constructed with soft, malleable plastic. During sleep, my mouth remained slightly open due to the jaw repositioning, allowing me to breathe through it. After proper fitting, the device fit comfortably in my mouth. Initially, I expected it to fall out but the sturdy design prevented that. My wife and I were glad that the cleaning process for this MAD was so simple. All we had to do was run some dish soap and warm water through it to keep it clear of contaminates. In order to get a Snore Guard, I had to first get a prescription. When I visited my dentist, he did a boil-and-bite method to properly fit the device. Alternatively, I had the option to do the fitting process at home. 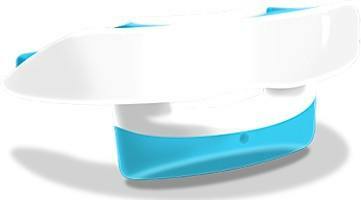 Snore Guard recommends that you wear the device for a couple hours a day, for a few days in a row, in order to get used to it. In terms of comfort, the Snore Guard forced me to keep my mouth open a little bit more than other similar products and it initially made my mouth quite sore. To clean it, I rinsed it down with warm water and a little dishwashing detergent. The Snore Guard costs significantly less than a CPAP and in my experience works as designed. Unless your medical insurance covers a large portion of the cost, the CPAP will be a very expensive option. The Snore Guard only requires warm water and hand soap to clean whereas the CPAP cleaning is more complicated due to the disassembly needed. With the CPAP, you run the risk of damaging one of the parts and paying to have the broken piece replaced. CPAPs will stop your snoring though. If you do decide on SnoreRX, make sure to check for Snore Guard Coupons.